There is a lot of talk about the value of the referrals in providing a service. Getting others to talk about you to their friends, relatives, and neighbors can be a great value to selling homes. But I think the most valuable customer is the repeat customer. Give me a hand full of repeat customers any day. Those that will call whenever your services are needed. I think of all my past sales, wouldn’t it be nice if all of them called me the next time they needed to repair or improve there home? It is probably best to keep an eye on these people. Market to them over and over. Sure I will probably get new referrals too, but getting the repeat customer should be the ultimate goal. I have had real estate agents market to me and after buying my home, they disappeared after a few months. I don’t need the fancy newsletter, or to be hammered with postcards for ever holiday, home sale, and open house. Friend me on Facebook, or connect with me on Linked In. Something subtle works best for me. You’re probably already doing it anyway, just include me in that loop. 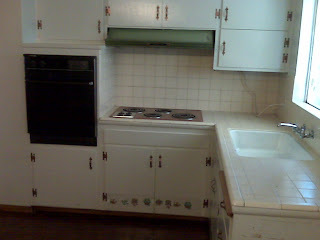 You gotta love this kitchen if you are a general contractor or a homeowner willing to make some changes. Changes that will greatly improve the value of your home, be more efficient, and more modern and up-to-date. It would be hard to spruce up this kitchen. Why? Because it is all old and outdated. I'm not saying that you have to make any changes, maybe you are okay with it the way it is. ﻿But if you are a general contractor, your eyes are tearing up with joy. This baby is being demolished. A clean slate, where the owners can have whatever they wish. Counters, cabinets, appliances all must come out. Plumbing, electrical, flooring too. Let's make this kitchen sparkle! But wont that be expensive? It will cost a lot of money, but its money that will go directly to the value of your home. Think of it as "flipping" a home but you get to live in it. Can we do it on a budget? You can set any amount that you wish. I wouldn't go with the super-cheap idea. You would probably regret it later on. But yeah a budget makes a lot of sense. This small kitchen will at value to the home when complete. Overspending does not make sense. There is a budget range for all kitchens, stay within the range. Know anybody with a kitchen like this? I'd love to talk to them. 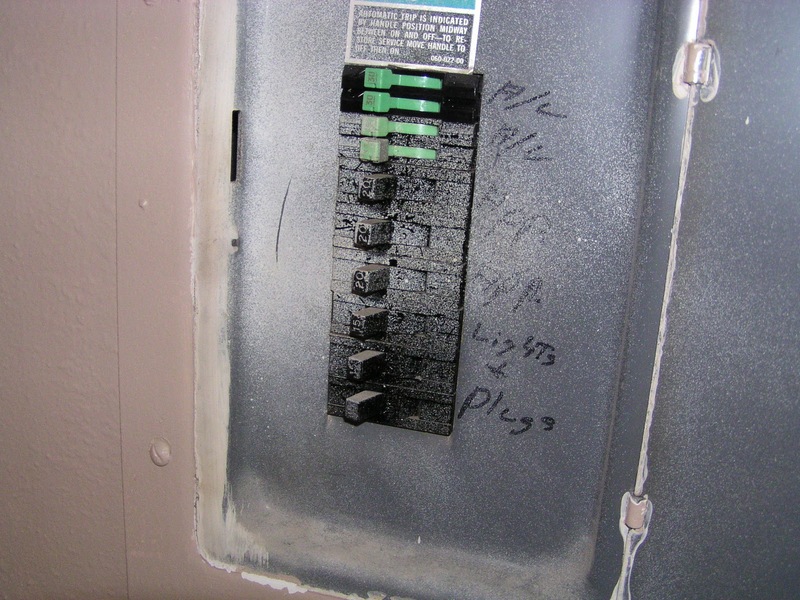 Years ago, homes and apartments were designed to handle the electrical needs at that time. Think back before the microwave, before the phone charger, the computer, and all the other power needs we have today. Properties were built with a power supply that is less than standard today. 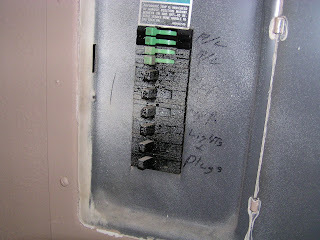 It is not uncommon to see homes with a 100 AMP main breaker or apartments with 30 AMP breakers. In these properties the number of outlets are limited, some kitchen only have one outlet! So what can a home owner do to upgrade their power supply? It would probably be best to contact a qualified electrician to upgrade your electrical supply to the building so that you can adequately make inprovements to your property. Put together a list of what kind of improvements you would like and discuss these with the contractor for his professional opinion. 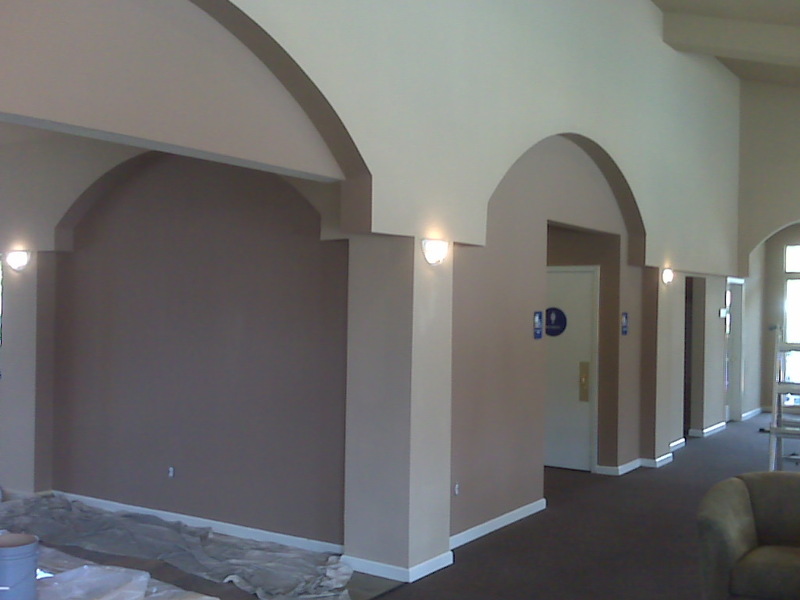 Many contractors will be more than happy to meet with a property owner that is sincere about doing some improvements to their building. Good luck in all your home projects. 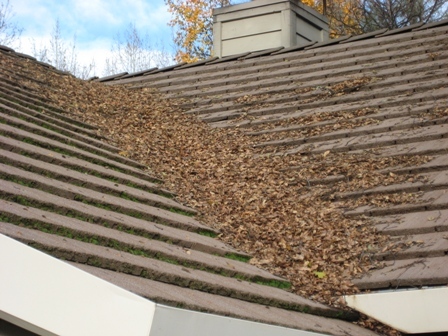 The leaves have started to fall from the trees around your home, now is the time to check for leaf build-up. You can probably see the roof top from the ground. Are the leaves piling up in the valleys of the roof? 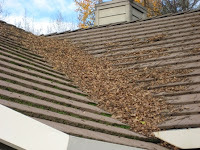 Do the leaves fill and top the gutters? This may be a good time to correct this issue. If the rain water can't get to the gutters and downspouts, water will be flowing over the top and possibly creating new problems around the house. This is something that a homeowner can do themselves, you will need a few common items to do the job. A blower or small rack to clear out the valleys comes in handy. 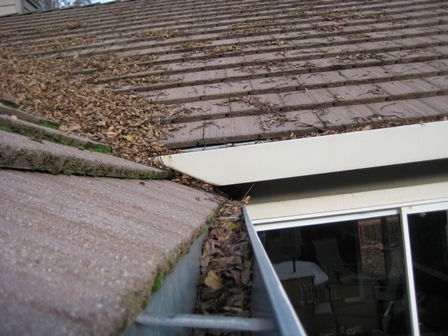 The gutters will need to be scooped out by hand or purchase a scooper designed for gutter cleaning. 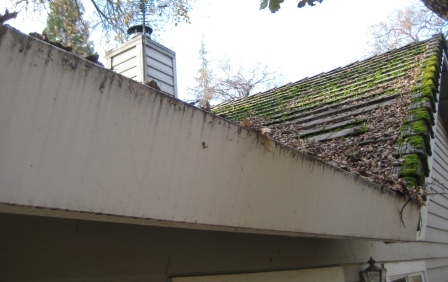 If you've neglected doing this for a while the gutters may be filled with moist decomposing debris. It can be a smelly mess, gloves and a mask may help. Of course there are business that do this sort of thing. Look up gutter cleaning in your local area for help with this. Good Luck in all your home maintenance projects. Is Your Tile Roof Ready For The Rainy Season? While doing a regular annual inspection of this roof, I discovered several broken and missing tiles. Last years storms caused tree limbs to fall onto the house damaged the concrete tile roofing. 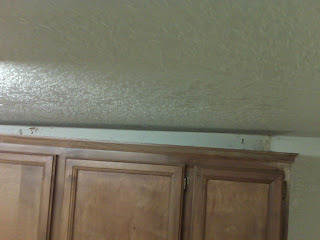 Luckily we had some matching tiles that made the repairs unnoticable when completed. Broken roof tiles initially may not show signs of leaking right away. However, constant water flowing under the tiles will probably cause much more damage if left uncorrected. This is something that a homeowner can do themselves, or have a qualified roofing contractor do a visual inspection of the home. Either way, it is important to regularly inspected roof tiles before it is leaking inside the home. A new coat of paint can change the whole look of a room. You don't need to get to fancy, or hire a decorator. Pick up some colors from your local paint or hardware store and brush on some sample areas. Ask your family and friends what they think of the colors. You may be surprised at their response, they may have some good suggestions themselves. Heck, you may be able to convince them to help. My Kitchen Cabinets Are Falling! 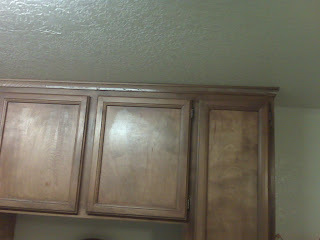 I had gotten a call about a problem with the upper cabinets in the kitchen of an apartment. "The cabinets are falling off the wall" the manager said. I thought that was going to be a over-exageration, but promptly got to the property. 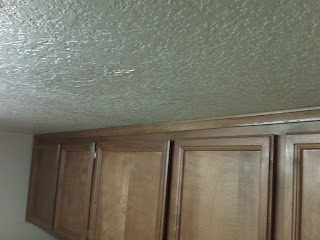 Must to my surprise - the kitchen cabinets were falling off the wall! Apparently, the original installer used 6 nails to hold the cabinets to the wall; three missed hitting any wood framing and over time, the remaining three slipped from the weight. The tenant literally had a wood box holding the cabinets up. We pulled all the original nails, lifted the whole cabinet system and secured the unit to the walls with 3" screws at the top and bottom of each cabinet section.